SuttonBeresCuller is an American art group who have been working together for over a decade. 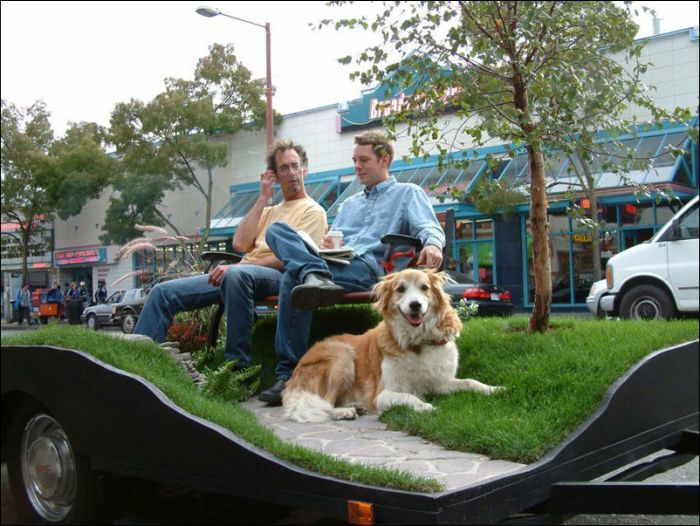 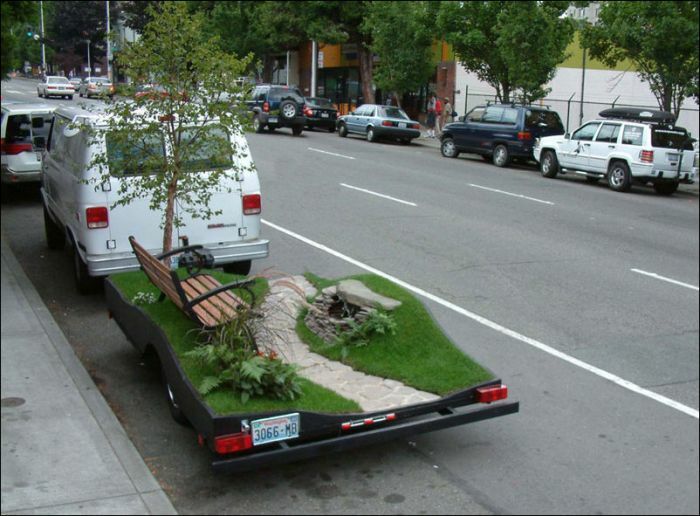 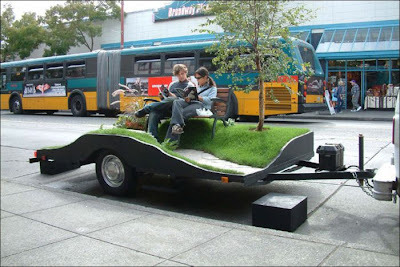 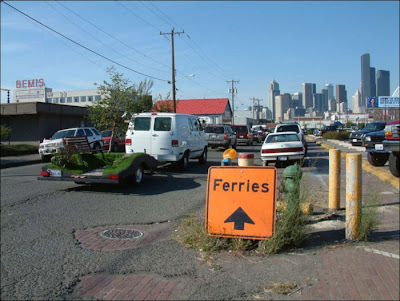 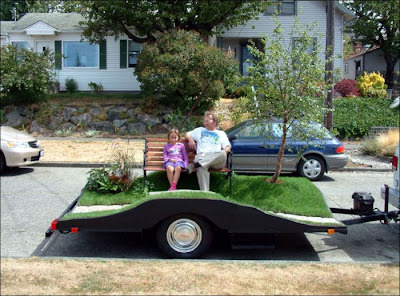 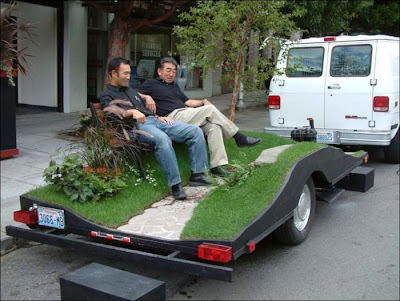 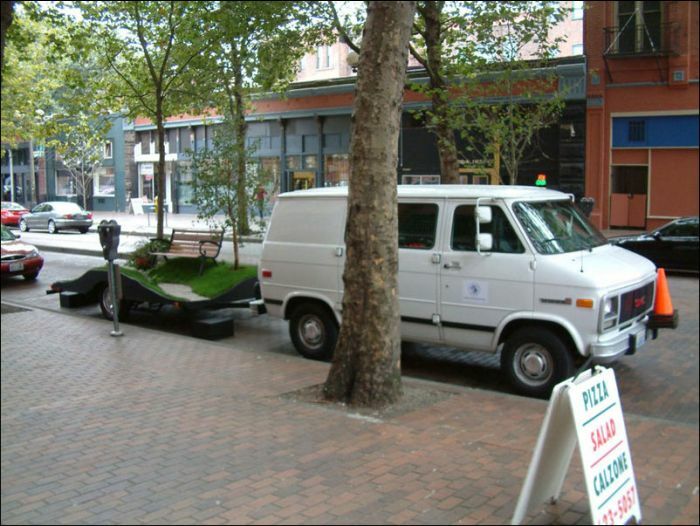 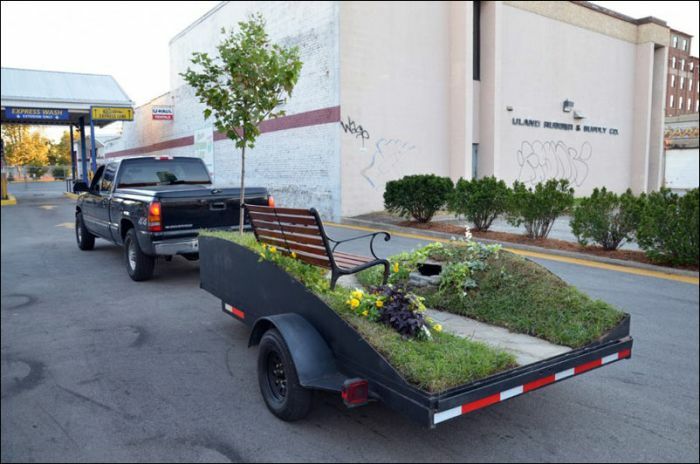 This mobile installation is a flat trailer bed with grass, a park bench and live plants and it tours the city inviting people to engage with the scene. 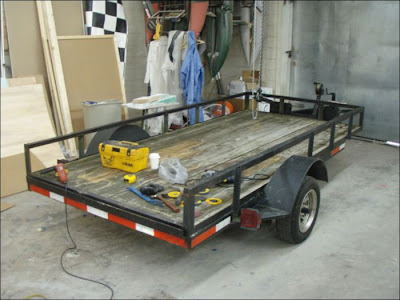 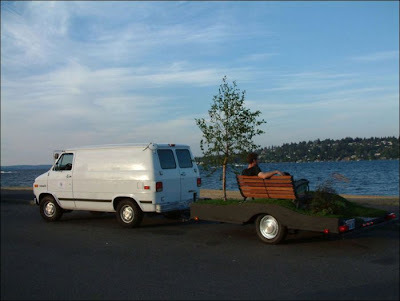 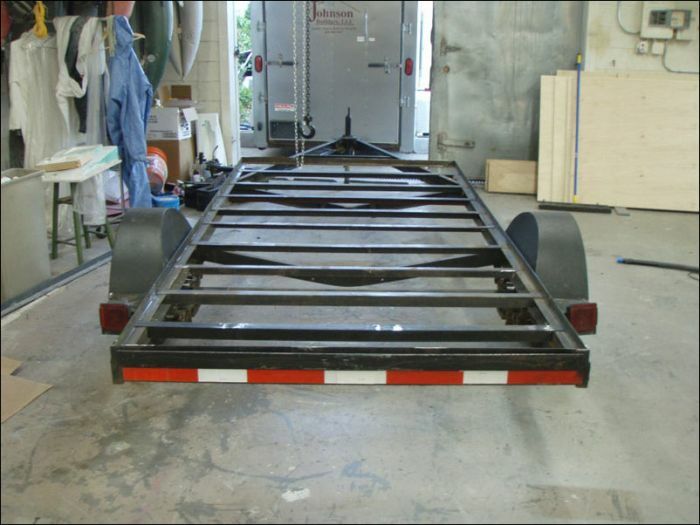 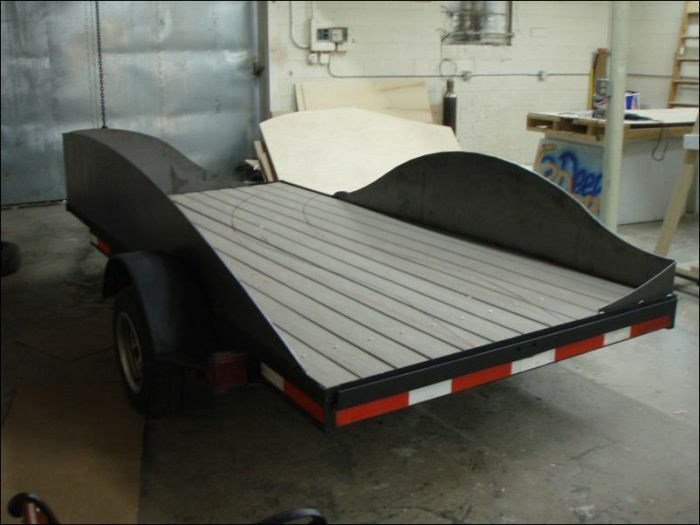 The aptly named, “Trailer Park”, was first conceived in 2003 and the idea was revived for the Kentucky Center of the Performing Arts Festival in 2012.